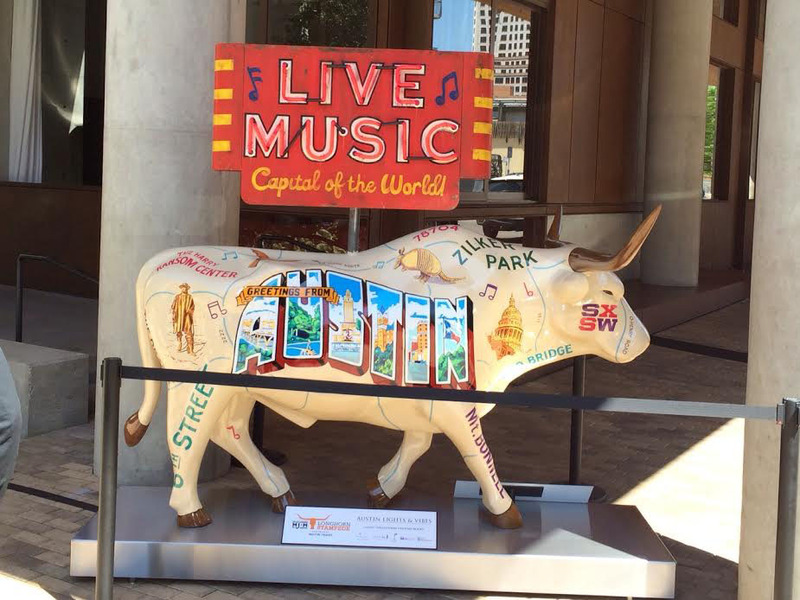 This 2014 joint fundraiser effort of Mack Brown, Jack Ingram, and Matthew McConaughey and presented by Milton Verret, asked Rory Skagen to participate by painting one of the six full sized life-size steers to be auctioned off at their gala event. 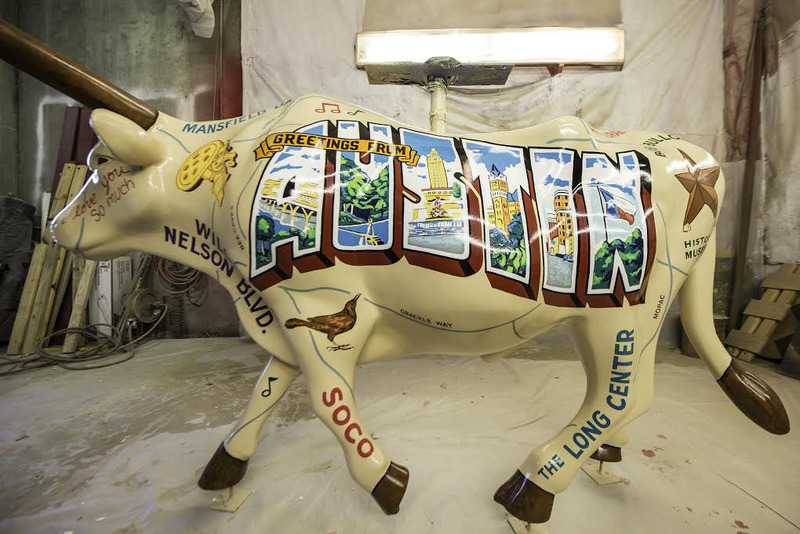 After a planning session it was decided that neon artist Todd Sanders and Rory Skagen would team up to create a nostalgic icon to Austin Texas. 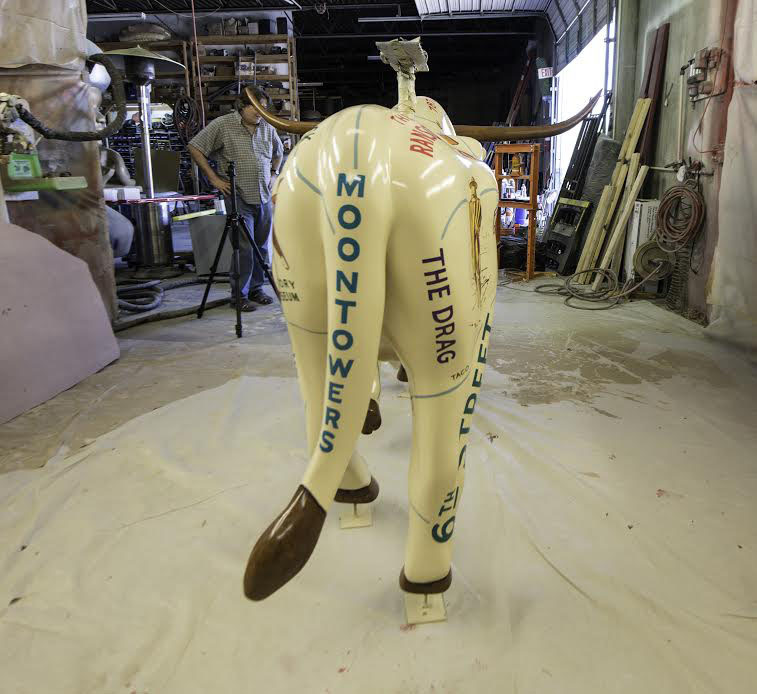 Including the famous Austin mural by Rory Skagen and Bill Brakhage, and and one of Todd Sander’s vintage neon signs. 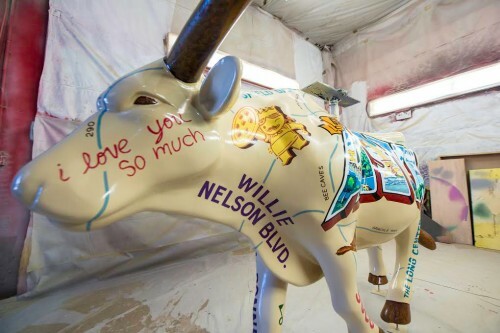 This steer sold at the auction for an impressive $100,000.00. 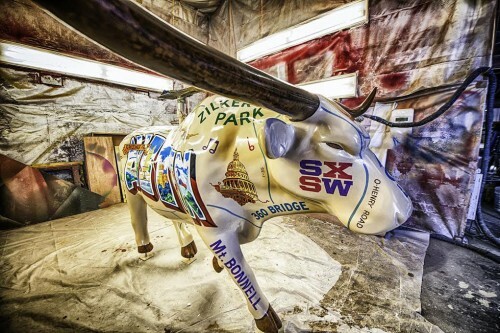 These photos include pictures of the finished steer and process shots at the shop. This entry was posted on Sunday, February 8th, 2015 at 2:45 pm. It is filed under Event, Exterior. You can follow any responses to this entry through the RSS 2.0 feed.